Don’t feel like driving to a hotel in-between the two days of the Games? Stay right on the fair grounds and don’t miss a thing. The camping area is situated in a tree grove outside gate three. There are roughly 20 sites with hookups (power & water) at $40 a night, and roughly 30 tent sites at $30 a night. Sites are first come, first serve once registered, but a site is guaranteed. The camping area opens Friday before the games for those registered for a site. Walk – Drive in’s welcome providing there’s space available. Registration opens early June 2018 and closes when sites are filled or the Wednesday before the games. Persons camping have access to showers and bathrooms that are located within the fair grounds entrances just a short walk from the camping area. One form per camp site. Camping registration fee does NOT include games entry. You can purchase advance sale tickets below. Tickets also available at the gates on the day of the games. No open fires of any kind are allowed within the confines of the Altamont Fairgrounds which includes the camping area and parking lots. Charcoal BBQ grills are allowed but must be off the ground. Charcoal BBQ grill must be extinguished after 10:00pm. To respect the enjoyment of other campers and our neighbors, we ask that noise levels are kept to a minimum after 10:30pm. The Capital District Scottish Games, The Schenectady Pipe Band, Altamont Fairgrounds, or any and all of their subsidiaries will not be held liable for lost or stolen property, or any damage to personal property while camping on the Altamont Fairgrounds for the duration of the Games. 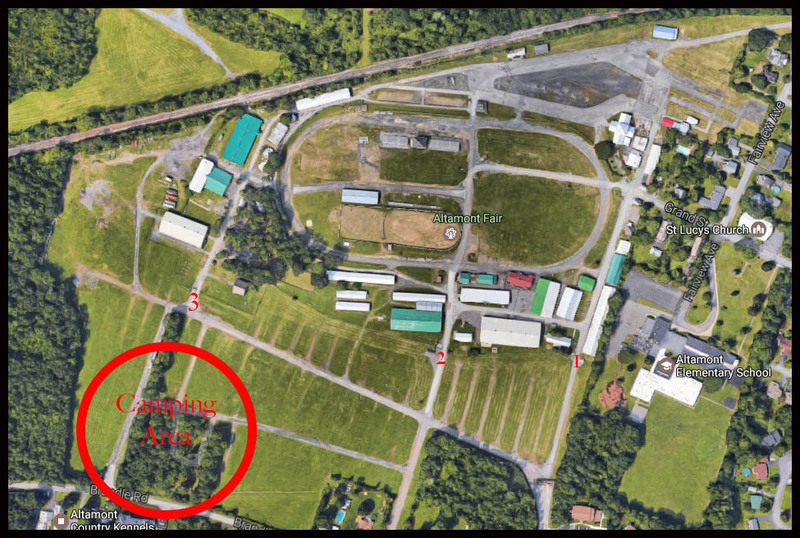 The Capital District Scottish Games and The Schenectady Pipe Band reserve the right to remove anyone from the camping area that is destructive or disrespectful. The authorities will be called and you will be removed from the camping area and fairgrounds. You will not be reimbursed of your camping fee if you are removed from the fairgrounds.